It’s finally official: It’s SPRING! To me, it feels like the calendar is just now catching up to the type of weather we have been experiencing for a while now here on the farm. As I shared with Floret e-newsletter subscribers earlier this week (if you aren’t on the list, be sure you’re signed up!) we had an incredibly mild winter here in the Skagit Valley and the sights and smells of spring are everywhere. Around town, magnolia and cherry trees are blooming their heads off. On the farm, the daffodils are unfurling, and we’re already harvesting armloads of anemones and papery poppies. Meanwhile, we’ve got five greenhouses full of ranunculus that are getting ready to explode into color. Spring has definitely sprung here at Floret! The spring equinox has long been celebrated as a time of renewal and new beginnings, which I thought would be the perfect time to announce the start of a new year of the Seasonal Flower Alliance. This year I’m adding in a few new twists to mix it up, and with an aim to make it as simple and easy to participate as possible. So what is the Seasonal Flower Alliance, you ask? Simply put, the Seasonal Flower Alliance is a fun way to see and share what’s blooming this week in gardens around the globe. Almost all of the action is going to take place over on Instagram, where I’ll be posting at least one photo per week with the #seasonalfloweralliance hashtag. Instagram has become my absolute favorite social media outlet and it has become such a lively and interactive place to share and connect with fellow flower lovers. Sometimes my weekly submission will be a centerpiece I design. Sometimes it might be an overhead shot of flowers I decapitate (a new favorite hobby). Other times it might be something unexpected—you’ll just have to follow along and see! So here’s what’s changed from last year: There are no hard or fast rules about how “local” is local for your flowers and there’s no need to do extensive designs with them–a fistful of fragrant lilacs can be just as beautiful as a centerpiece that you spent an hour designing. It isn’t a competition, just a celebration of the beauty and the bounty of the season. I want this little project to be easy, accessible and fun–no matter your location or situation! All you have to do to participate is tag your photo of seasonal blooms on Instagram with the #seasonalfloweralliance hashtag, so there’s no need to log in and upload your submission to the blog this year. I know your time is tight and I want to make participating as quick and easy and FUN as possible! If you’re not on Instagram, and like linking here, then by all means continue to do so–whatever is easiest for you to maintain. 1) Snap. 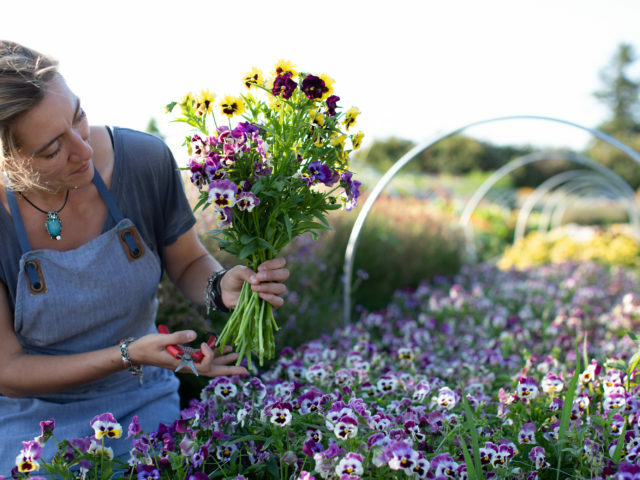 Take a photo of seasonal flowers that you grew, foraged (responsibly, of course!) or bought from the farmers market or local flower farm. I’ll still plan to post a short weekly blog post with my Instagram submission every Friday and maybe a few comments. I also plan to create a little gallery with a handful of my favorite images submitted by others from the previous week. 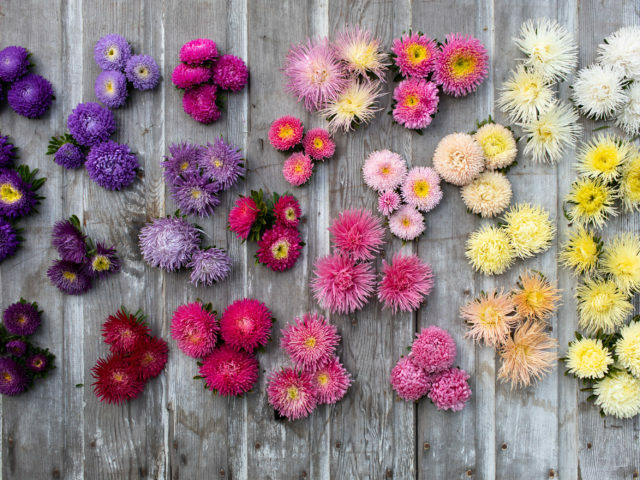 By following @floretflower and tagging your photos with #SeasonalFlowerAlliance on Instagram, you’ll have the opportunity to be featured in Floret’s weekly roundup of Seasonal Flower Alliance submissions here on the blog! Some of my flower friends in the southern hemisphere have been posting their beautiful seasonal blooms with the hashtag throughout their summer–thank you! Here’s a huge shout out to those of you in Australia, New Zealand, Chile and beyond that filled my Instagram feed with gorgeous seasonal flower photos during the gray days of winter. I hope to return the favor as you wind down your season and we jump start ours! For today’s equinox, the daylight and darkness are about equal, no matter where in the world you live. 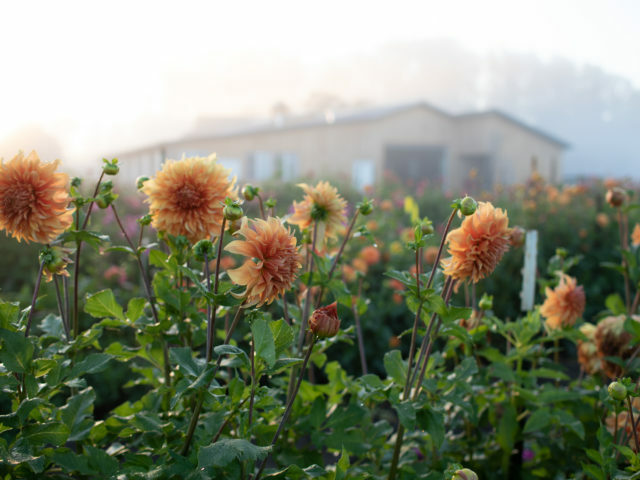 So whether you are a veteran flower farmer or you’re a newbie planting your very first garden, please join in the fun of the Seasonal Flower Alliance this season. I’m so thrilled that we can join together and spread the joy and beauty of seasonal flowers around the globe. This weeks bouquet includes: amaryllis, rose foliage, icelandic poppies, ranunculus, viburnum foliage, parrot tulips and narcissus. Everything but the amaryllis was grown right here on the farm. I just love flowers. As spring has come, it’s a good idea to gift someone fresh flowers and make them surprise. yay, yay, yay!!!!!!!!! Thank you for being the catalyst for so many good and beautiful things! Look forward to all the flowers to come! Looking forward to see all the good things this season!! I’m committed to joining the seasonal flower alliance this year! I am building my farmer florist side of the farm and need to build my skills and photo collection. Thanks for the inspiration…I better go get started! Super!!! Can’t wait to participate and see what’s going on in the flower world!!!! And your new vessels are PERFECT!! Organic, natural, awesome! Such a lovely design of spring. You truly live in the perfect growing location to make all your amazing ideas and dreams come true. Ah, that color! So glad you’re doing this again – I can’t wait to participate! There is not a thing blooming in the yard yet, but boy am I watching those little green sprigs! Ah, that color! So glad you’re doing this again – I can’t wait to join in. There is not a thing blooming in the yard yet, but boy am I watching those little green sprigs! Soon! Absolutely lovely Erin and what a wonderful arrangement to begin a new year of the Seasonal Floral Alliance. Looking forward to joining in again this growing season! Here in Vermont, we’ve had a brutal Winter, so very cold, unrelenting, I thought that last year was bad, with two vortexes coming down from the Arctic, but this Winter it was one long non- stop VORTEX. Our Climate Change has shown up with this extreme manifestation. Can’t wait to direct seed as soon as the soil is workable. And, so looking forward to seeing how many of the on-sale Spring bulbs I planted actually flower! Good! Maybe I can finally figure out how to work instagram! Haha. Can’t wait to start this. This is my first year of becoming a farmer florist so it this will be very good practice for me. I’m not too far away from you – across the water in Poulsbo WA. Ah! Beautiful! I’m excited to participate – though there will be no nice design from me! Haha. Zones are funny – every map I look at tells me something different, the most detailed one has about three different zones just in this area, which is probably accurate. Micro-climates! Excited to participate this year! I loved the photos from last year, and I think this will be a great way to exercise the idea muscle and make some cool arrangements. We’ve moved from a Zone 5a to a Zone 7b, so we will be able to participate much longer with the growing season. Looking forward to the bevy of floral arrangements this season. I have been waiting for something like this! I want nothing more than to be able to forage from our little farm but get so discouraged living in a cold climate! Here’s to spring and new hope! Thank you!! I just don’t know what it is about those parrot tulips but i just LOVE them. Thanks for sharing. Thank you! We haven’t yet ever said much to you, but we are so envious of your climate and your lovely farm. I’m glad I caught this post as I’m sure we can participate in some way when NE Ohio finally warms up! And amen to the hardiness zone suggestion! Sunshine on a cloudy day. Thank you. I LOVE this idea! It’ll likely be a few weeks before we see anything start to come up around here (Manitoba, Canada! ), but I can’t wait to participate! Lovely, Erin! I love how spring arrangements can be so bloom-centric – you just need a few dabs of foliage to pull it all together, mirroring how spring gardens appear. Looking forward to the 2015 Seasonal Flower Alliance fun. Happy equinox!